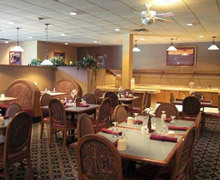 Traditional American cuisine; breakfast and dinner available all year. 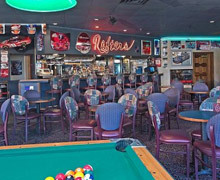 Sports bar atmosphere; pool tables and dart machine. Great Happy Hour specials. Specializing in ribs and steaks. Open seasonally - whitewater rafter favorite!